We chose the potato as the backbone for our vodka because we think it produces a tastier, smoother spirit. 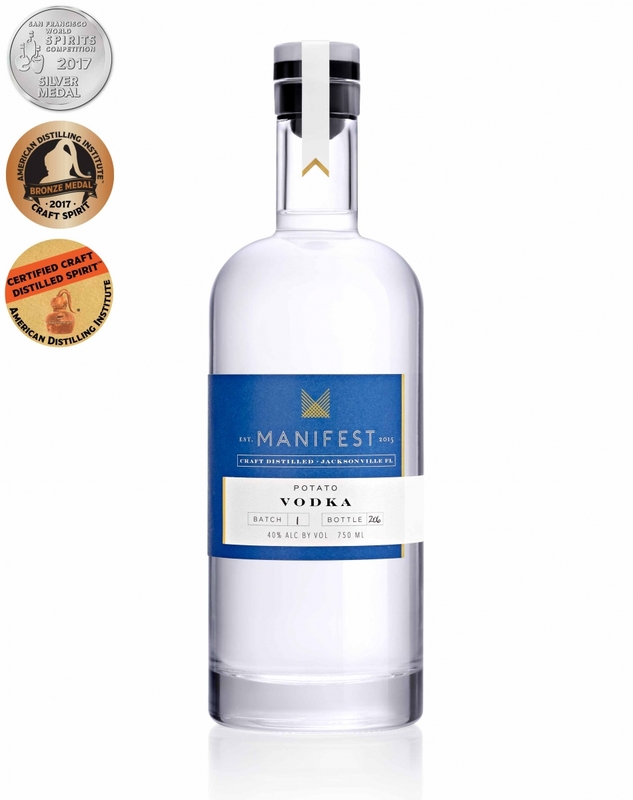 Manifest works with a craft distillery in Idaho to bring in high-proof potato neutral spirit, which then gets batch distilled in our production facility. The hearts of that distillation get proofed down to 40% ABV (80 proof) before they get gently poured into your bottle, because we like to treat our potatoes with respect (potatoes have feelings, too). 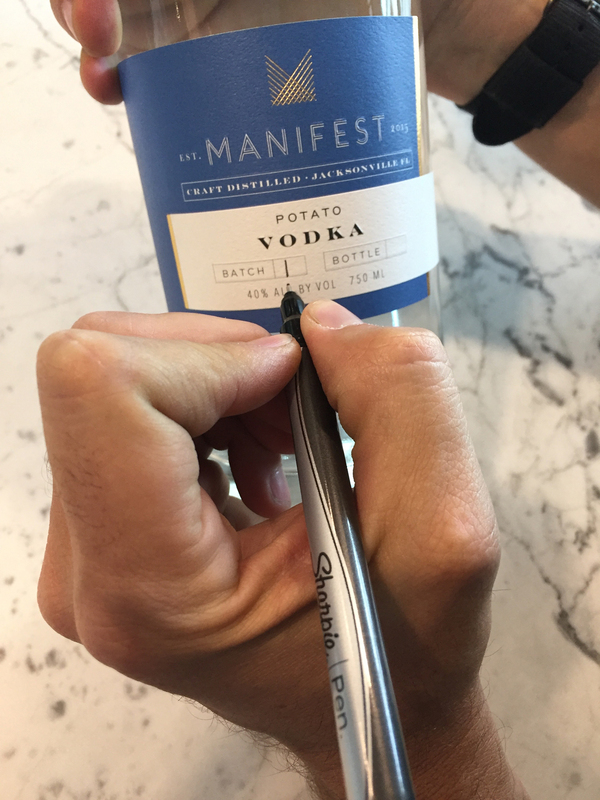 Manifest Potato Vodka is carefully crafted utilizing 100% non-GMO Idaho potatoes. Since potatoes don’t include gluten, neither does our vodka. You're welcome. This first batch is special to all of us because of the time, care, love and commitment that went into building our distillery. What was just an idea a little less than three years ago is now 9,000 feet of fully operational craft distilling space. Cheers to many, many more manifests. When choosing our starch base for vodka, potato was an easy decision. The U.S. Government describes vodka as a "tasteless, odorless spirit". That doesn't leave the craft distiller much room with which to play. The one element that we do have control over is how the vodka feels when you drink it. We felt like a well-made potato vodka gave the best experience. Did you know potatoes are very emotional? Since we weren't producing from raw material to start, the search began to find another distiller who was making an exceptionally clean potato neutral spirit. We had to look no further than Idaho. Because where else do potatoes come from? We start with a non-GMO Idaho Russet potato neutral spirit at 192 proof and then run it through our still. 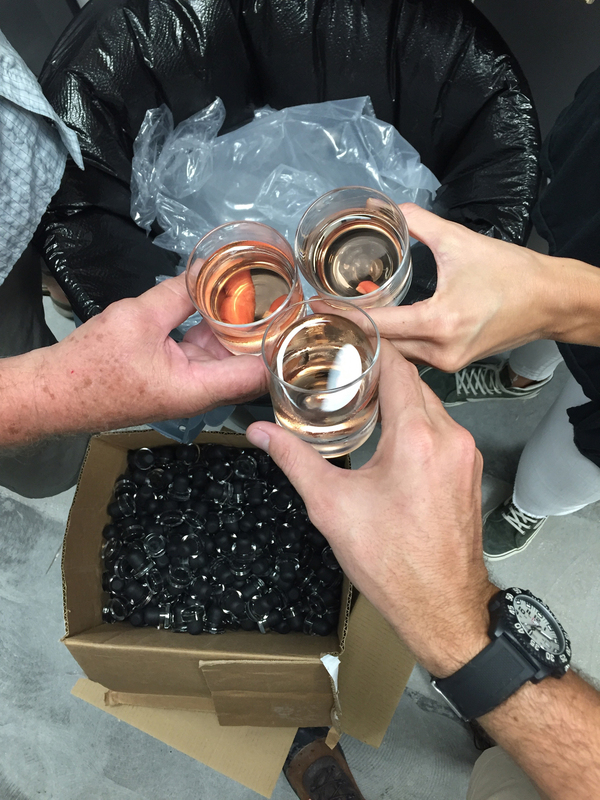 Once it's been re-distilled, we bring it down to bottling proof using tri-bed deionized water. Batch #1 consisted of 2,344 bottles. We reserved the first 1,000 bottles to be sold exclusively from our tasting room. The remaining 1,344 bottles were shipped out to our distributor, RNDC, on September 30, 2016. All Batch #1 bottles were closed using our clear cap with a black shank. A tradition was born, as we decided that all future releases of our core product would include the same clear stopper with a black shank. Everything after Batch #1 will feature the same clear top but with a tan shank, our original design. As you probably know by now, each bottle is hand filled, labeled, closed and numbered. The next 1,344 bottles were filled on September 20th, 2016 and we brought in a little more help.